Did you used to watch Fraggle Rock as a kid? Yeah, me neither. I think it was on PBS and if we got PBS, no one told me! Plus, being 6th in line for the remote kinda left me watching reruns of Fantasy Island, some lame-o sports event or Walker, Texas Ranger. I remember HEARING about Fraggle Rock and WANTING to watch it. Well, now our kids can as episodes are being released on DVD! Anyway, back to Fraggle Rock. Jim Henson was the creator of the show about a group of cave-dwelling misfits who liked to dance, act silly and maybe learn a thing or two about life here and there. There were such kooky characters as Red, Gobo, Wembley, Marjory, the Trash Heap and evil villains such as the Gorgs. It's hard to resist these zany creatures. My daughter found it to be hysterical and I found myself cracking a few smiles. This non-animated feature includes the 3 episodes: Wembley's Egg, The Great Radish Famine and The Finger of Light. In this DVD, spring is in the air. Marjory the Trash Heap decides to teach the Fraggles, Doozers and Gorgs a lesson by magically making all the radishes in the Gorgs' garden disappear. Doc from "Outer Space" uses the power of music to help his plants grow. The egg hunt begins when Wembley finds the egg of a Baby Tree Creature in Fraggle Pond. Special features include: "The Great Radish Round-Up" animated episode, a sing-along and a look at Jim Henson's Animal Show with Stinky & Jake. 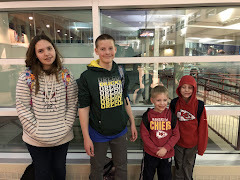 Family Time Factor: I think this actually spans quite the ages and I would say would be best enjoyed by kids up to 12, and especially tolerable to adults who have imagination and remember what it was like to be fun and creative. 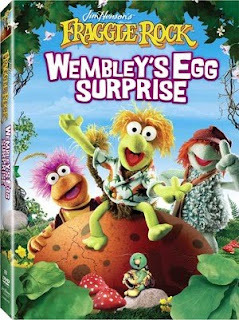 Fraggle Rock: Wembley's Egg Surprise is available February 9 on DVD!! !